For the past few weeks we have had a Fenton Tommy art installation at the front of school. These Tommies are part of a national project called “There But Not There” to mark the centenary of Armistice, the ending of the war in 1918. The figures are made by veterans, and the idea is that they commemorate those who died; educate younger generations to understand what led to the deaths of 888,246 British and Commonwealth personnel; and raise money to help today’s veterans who are suffering mental and physical wounds of their service in other more recent conflicts across the world. A big thank you to the Year 6 girls who have been selling poppies and Poppy Appeal merchandise over the past few weeks. The pupils and staff at Heron Cross have created a stunning display to commemorate the centenary. All pupils were invited to make their own poppy for the display; our pupils (and their parents !) are really creative. We have had some fantastic 'makes'. Year 3 have produced some weavings using reds, greens and blacks. They have used a range of different materials including ribbon, wool, fabric, foil and cord. Year 4 collected plastic bottles and turned them into poppies. Inspired by the 'Weeping Windows' they have created a cascade of poppies from our Mow Cop Castle ruins. Year 5 pupils have created some large than life poppies using a number of techniques such as pastelling and texturing. Year 6 pupils have recreated paintings by Paul Nash. The artworks he produced during World War 1 are among the most iconic images of the conflict. In addition four poppy drapes have been created using Indian inks, pastels, acrylics and glitter. On Monday 5th November Mrs Shenton read Where the Poppies Now Grow. 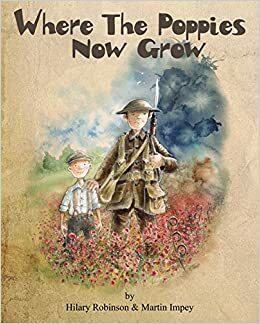 This moving poetic text matched with warm-hearted illustrations captures the lives of two friends and the parts they played in the enormous military campaign of the First World War. From their early days playing together through to their old age they shared everything. Above all, as young men they courageously shared the danger and devastation of the war which took place on their very own land. On Tuesday 6th November Margaret Gleave visited to talk about the World War 1 cemeteries she has visited across Europe. She brought in some artefacts and shared some personal anecdotes about her relatives who had fought in The Great War. 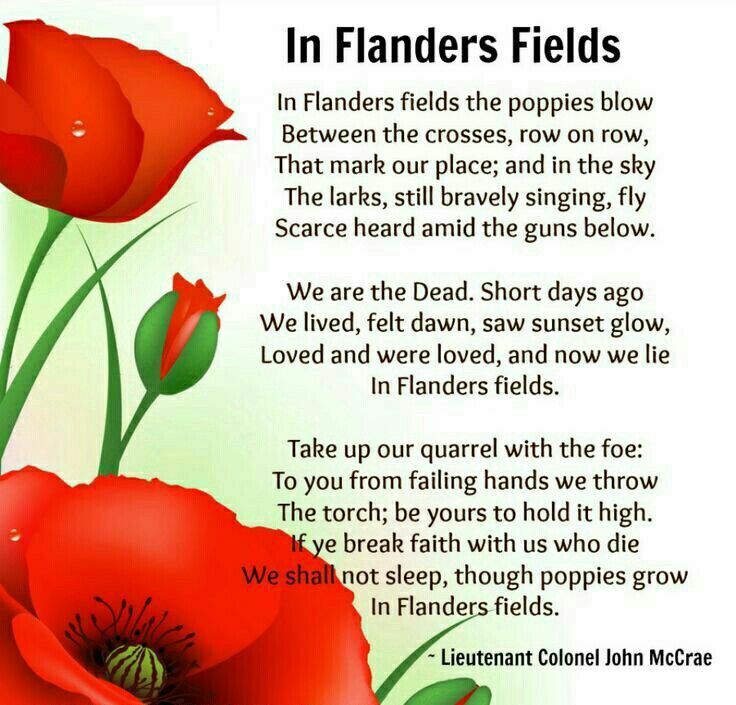 Mr Wilks read the poem In Flanders Fields by John McCrae from Margaret's anthology Anthem for Doomed Youth. The assembly culminated in a minute's silence as a time for reflection. On Friday Mrs Sanders introdued us to two soldiers from World War 1. Private John Parr was the first British soldier to be killed in World War 1. He was only 17 when he died on August 21st 1914. Private George Ellison was 40 years old when he was killed on November 11th 1918. He was the last British soldier to die in World War 1 just 90 minutes before the 11.00 Armistice. Mrs Sanders then talked about the Staffordshire village of Butterton. There is no war memorial there so on November 11th the villagers gather around the church to listen to the 'Thankful Bell'. The reason there is no memorial is that despite 15 men going off to fight in World War 1 and 13 men going off to World War 2, there were no casualties in the village. All of the soldiers returned home. The assembly ended with a minute's silence.